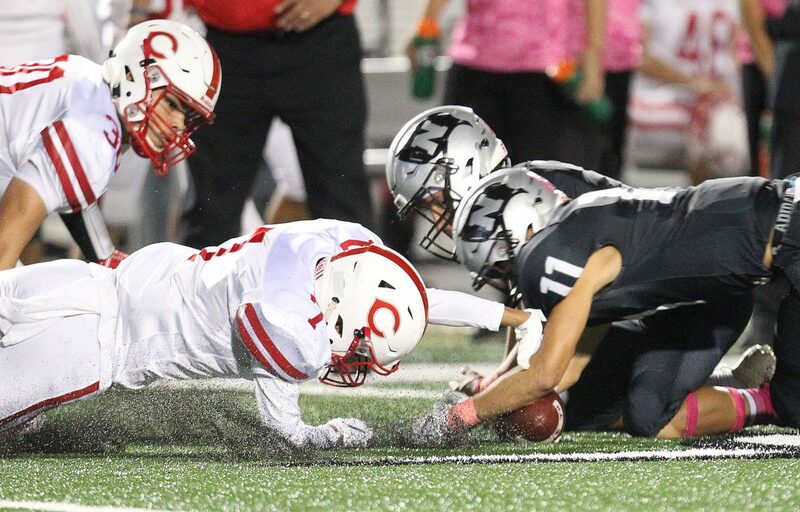 La Joya Israel Diaz and Anselmo Davila scramble for a loose ball against PSJA North Marco Salinas and teammate in the first quarter at PSJA Stadium on Friday,Oct. 26, 2018, in Pharr. 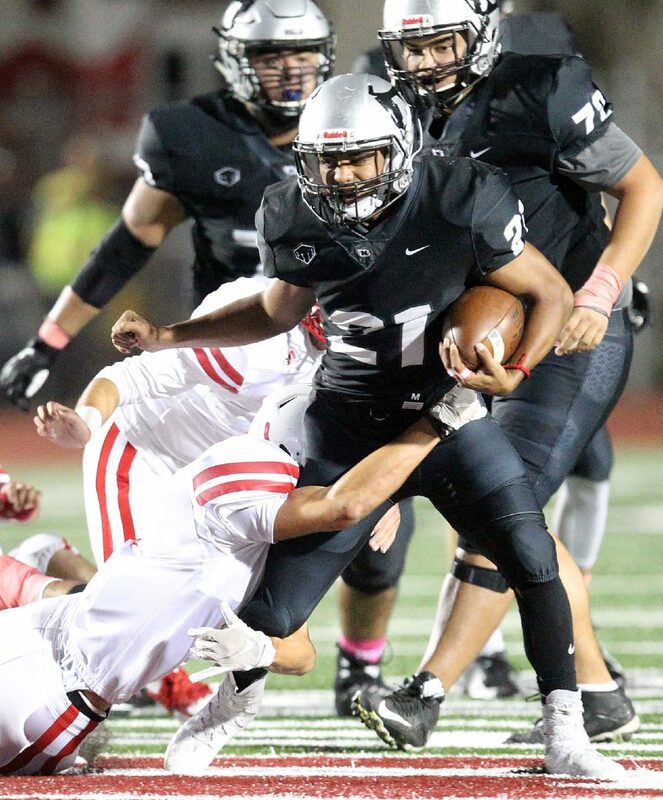 PHARR — Physicality bruises but speed kills. 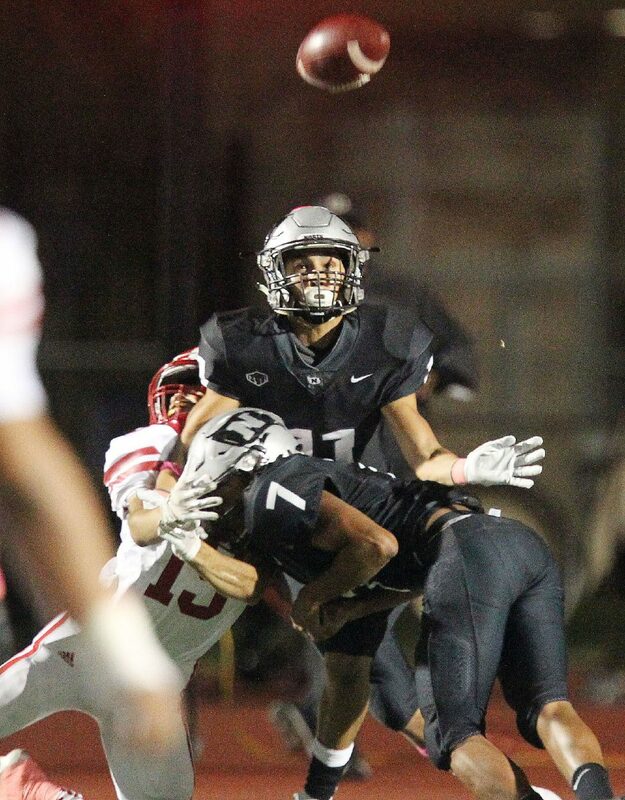 PSJA North took its first lead a minute and three seconds before halftime never looked back, steamrolling La Joya High 40-14 in the Monitor’s Game of the Week. 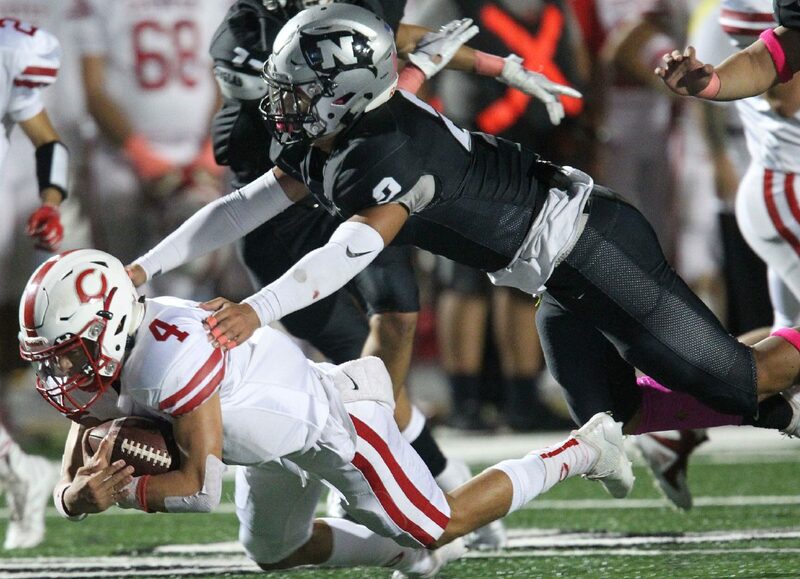 La Joya (6-2, 3-2) scored twice on methodical, hard-nosed rushing drives but PSJA North (5-3, 4-1) used big plays all night to take sole possession of second-place in District 30-6A. 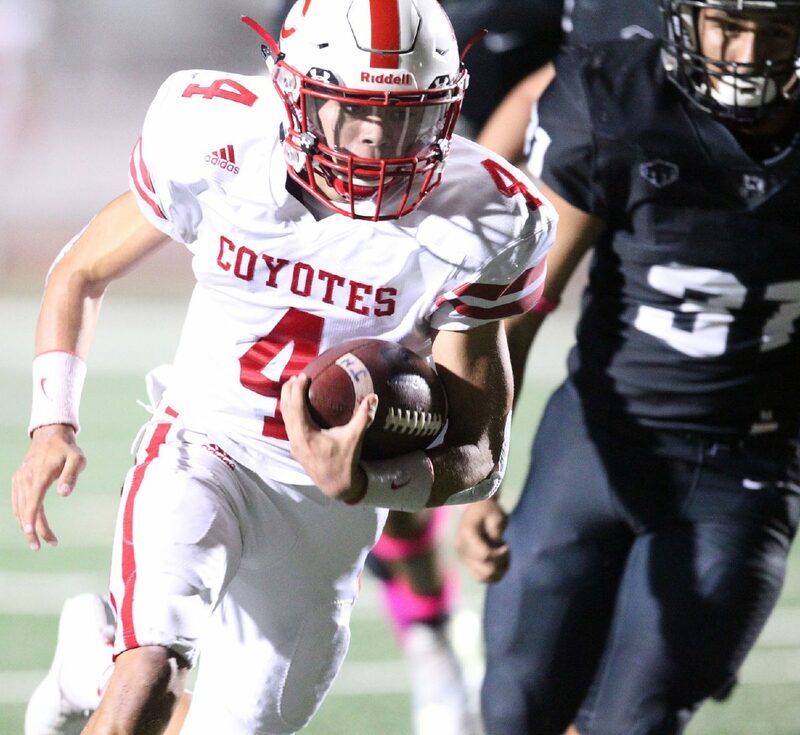 North quarterback Iziaah Rangel had a breakout night to power past the visiting Coyotes. Rangel was the perfect definition of dual-threat as she showed off his arm but stole the show with his legs via two long touchdown runs from 75 and 89 yards, respectively. 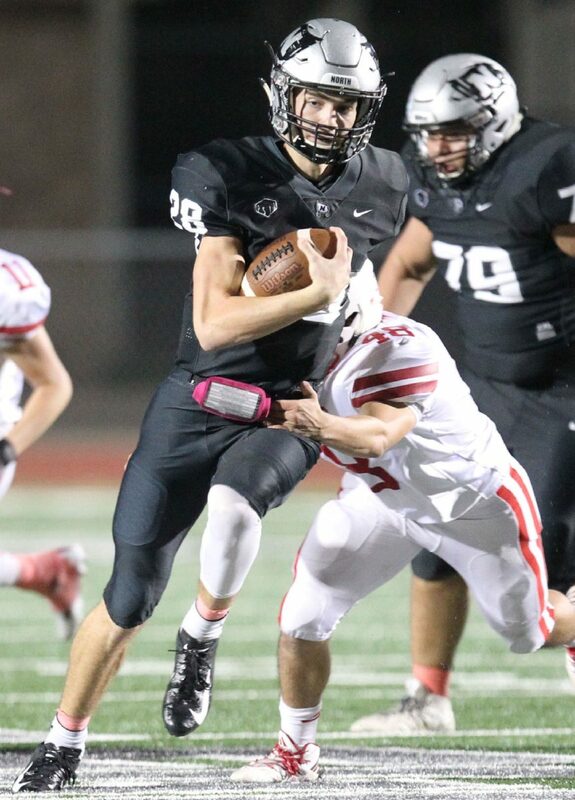 PSJA North Iziaah Rangel finds running room up the middle against La Joya defender Josue Bermea in the second quarter at PSJA Stadium on Friday,Oct. 26, 2018, in Pharr. 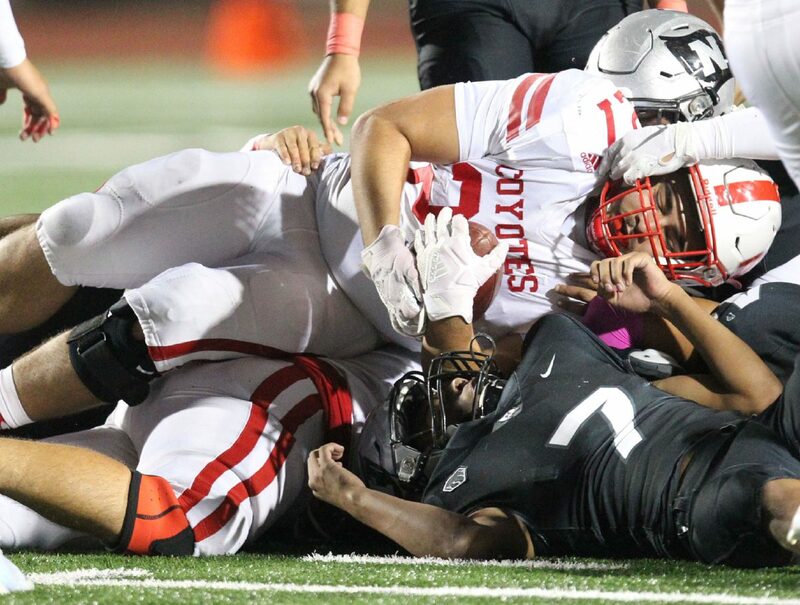 PSJA North Isaac Gonzalez drags La Joya defender Nelson Camero in the second quarter at PSJA Stadium on Friday,Oct. 26, 2018, in Pharr. La Joya Eddie Villarreal is stopped short of a first down by PSJA North defenders in the second quarter at PSJA Stadium on Friday,Oct. 26, 2018, in Pharr. PSJA North defenders Seven Sanchez and Marco Salinas collide with La Joya Alexis Hernandez in the end zone during the second quarter at PSJAl Stadium on Friday,Oct. 26, 2018, in Pharr. PSJA North was called for pass interference. La Joya JR Rodriguez finds room for a touch down against PSJA North Micah Lopez in the first quarter at PSJA Stadium on Friday,Oct. 26, 2018, in Pharr. La Joya JR Rodriguez lunges for yardage against PSJA North Noah Gonzalez in the third quarter at PSJA Stadium on Friday,Oct. 26, 2018, in Pharr.